Leading Manufacturer of crank shaft from Ahmedabad. 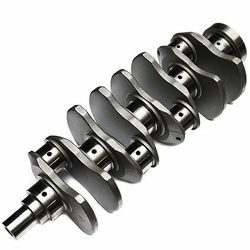 Captivating on the skills of our professionals, we are involved in offering best quality of Crank Shaft. This Crank Shaft is extensively used in industrial and construction applications. The offered Crank Shaft is available in the market in various sizes and specifications. Our products are available in the market at affordable rates. Looking for Crank Shaft ?